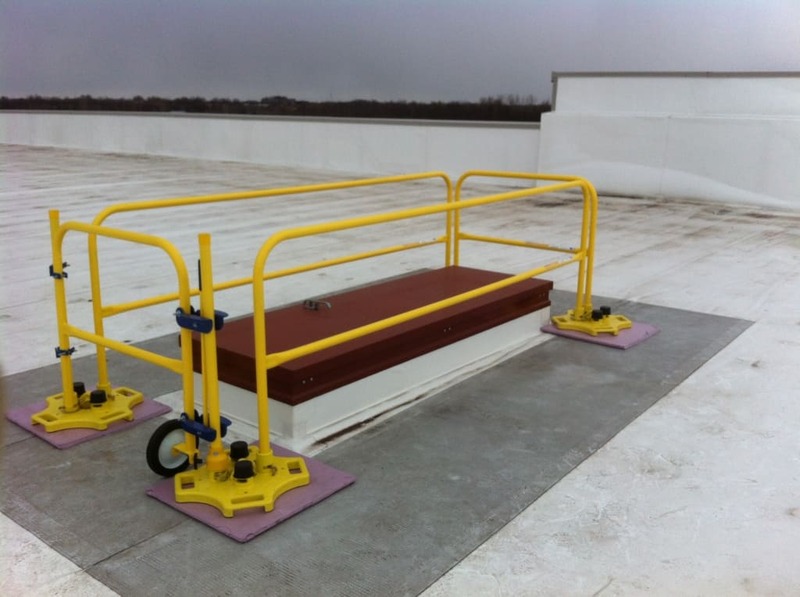 SafetyRail 2000 is an effective solution for rooftop hatch protection. 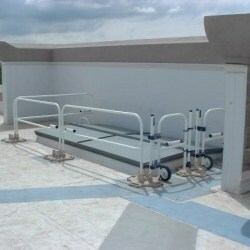 The non penetrating SafetyRail 2000 counterweight guardrail and bases allow for an easy and fast installation. 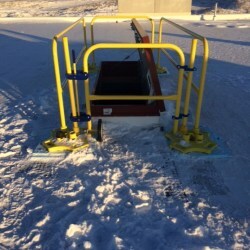 Optional hand grab bars and an optional self closing safety gate ensure hatch protection when the hatch lid is in the raised position and the guardrails surround the openings of the hatch. 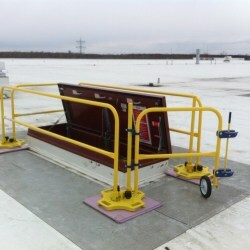 The SafetyRail 2000 hatch protection system meets and exceeds the applicable guardrail codes and standards. 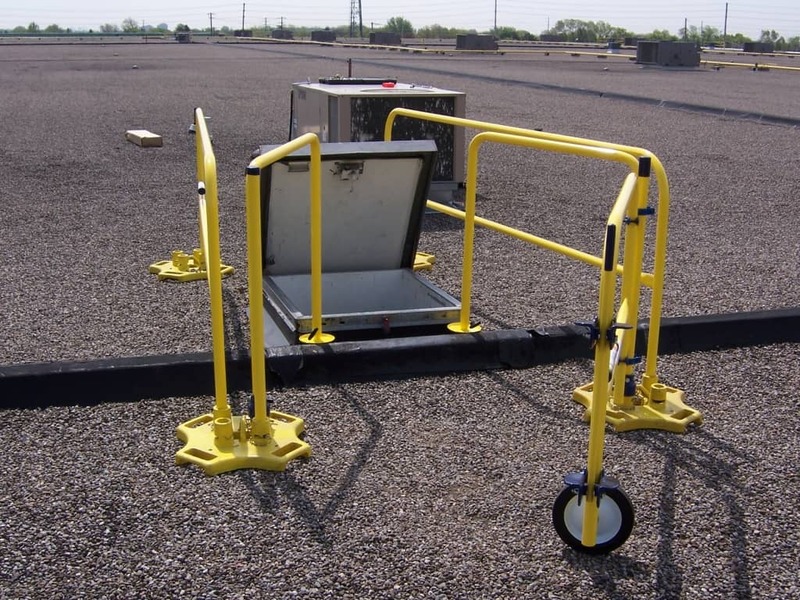 ​When it comes to rooftop hatch protection, we have a couple of systems available to protect the user and also help with access and egress through the hatch. 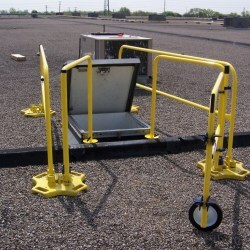 Hatch protection is extremely important for workers on roofs, as hatches are often missed below the sight line. Make sure you are protecting your works by providing perimeter roof hatch guardrailsalong with a gate around all rooftop hatch openings. Our HatchGuard system is a bolt-on guardrail system that is non-penetrating and safely protects to open roof hatch. 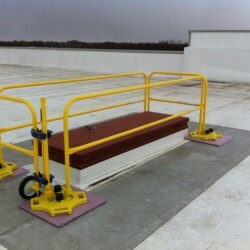 The HatchGuard hatch rail meets and exceeds the applicable roof hatch guard rail codes. It is now available also with an optional hoist to lift materials safely through the hatch. 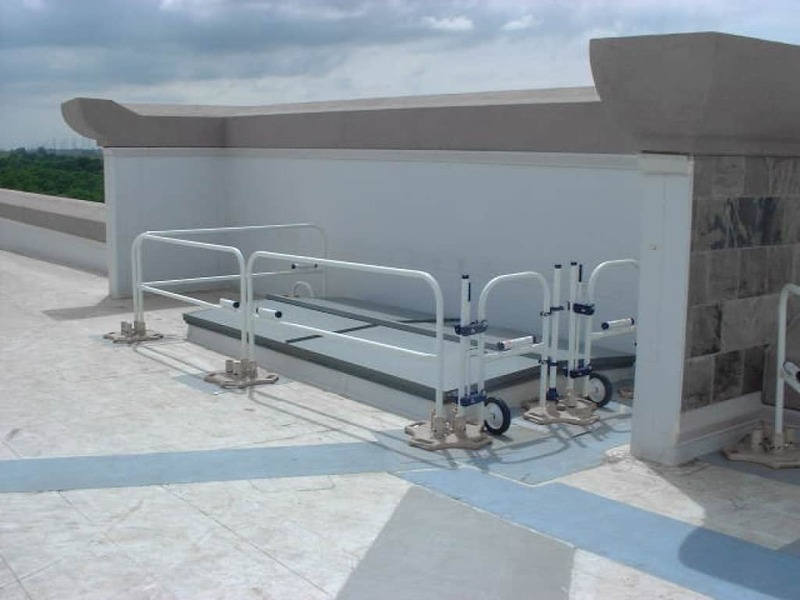 We also offer the SafetyRail 2000 Hatch Protection non-penetrating rooftop guardrail system that can be configured in many different layouts and sizes to allow for complete roof hatch protection. 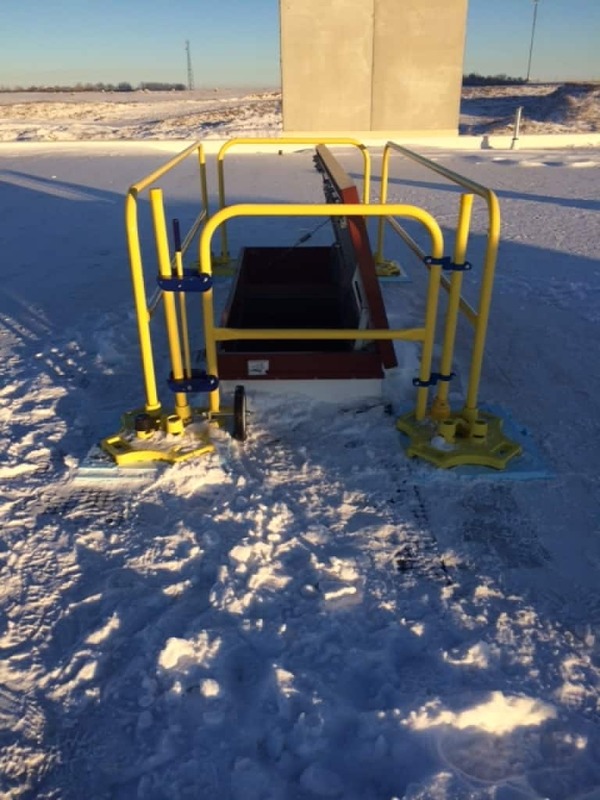 Using the standard framework of the Safety Rail 2000 system, we configure the guardrails to your hatch and provide swing door for access and egress. 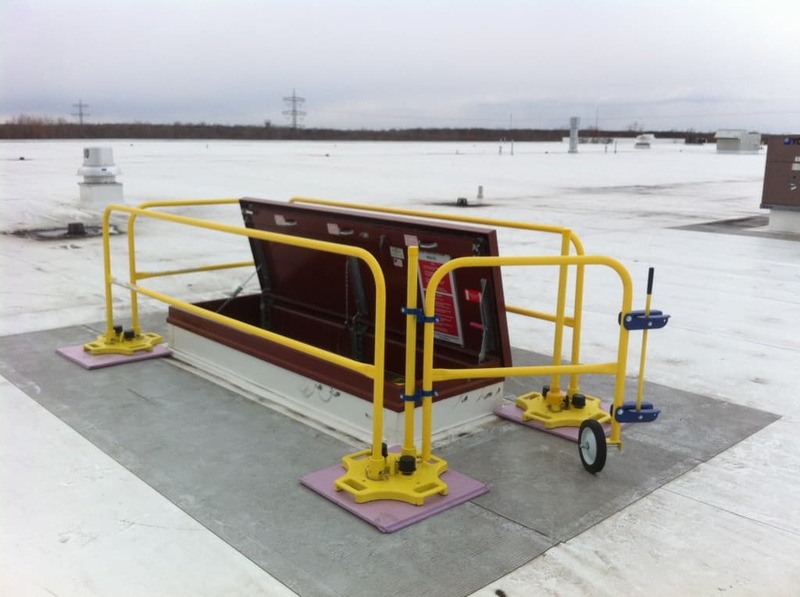 For rooftop hatches that have existing guardrailing already in place, or if guardrailing around the hatch isn't required or a priority, we also offer the HatchGrip system to assist users in access and egress through the hatch.